The BBC plans to further promote LGBT culture on-screen and within the organisation, in order to avoid a “heteronormative culture”. People’s LGBT identities will be shown more often, regardless of its relevance to a storyline or news item. The corporation is also encouraging all staff to use non-binary pronouns when speaking to or about someone who identifies as neither male nor female. The new policy emerged from a review of career progression and culture for LGBT employees at the BBC, which included “unconscious bias training” so that staff do not accidentally offend colleagues. Of the ten recommendations, all were accepted by the broadcaster. LGBT staff will be encouraged to “bring their whole self to work”, while some heterosexual colleagues who “actively promote” LGBT issues will be designated “straight allies”. These staff will wear badges or have special email signatures to announce their status. The broadcaster has also chosen to adopt LGBTQ+ as an acronym, as it believes “sexual orientation and gender identity blur beyond the L, G, B or T”. 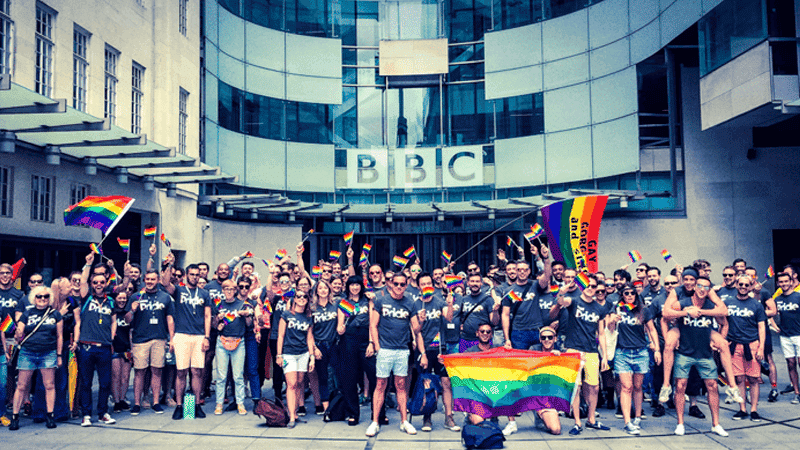 At eleven per cent, LGBT representation at the BBC is far greater than the number in the general population – just two per cent. But James Purnell, Director of Radio and Education, said the changes would help them attract a more diverse workforce and appeal to a younger audience, claiming only half of 18 to 24-year-olds identify as “completely heterosexual”.